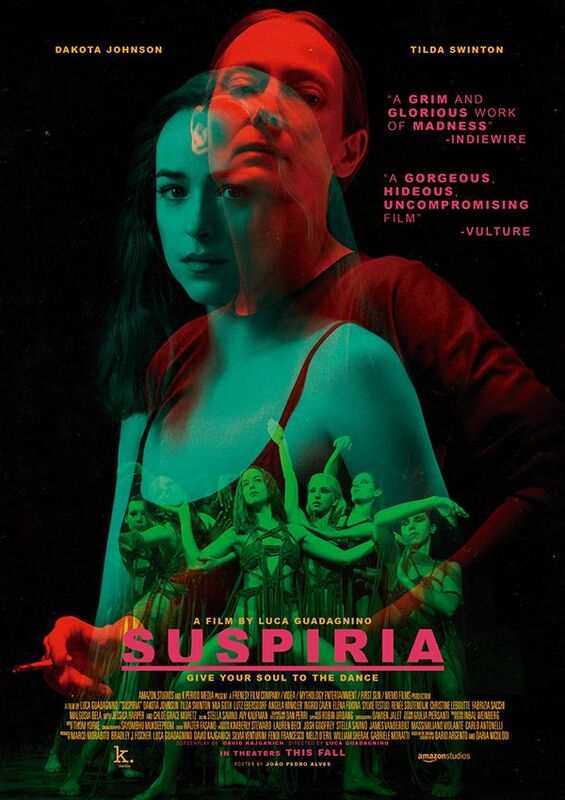 The Plot: Susie is an American student that goes to a world-renowned dance company in Berlin, where she quickly becomes the main interest of the strange teachers. 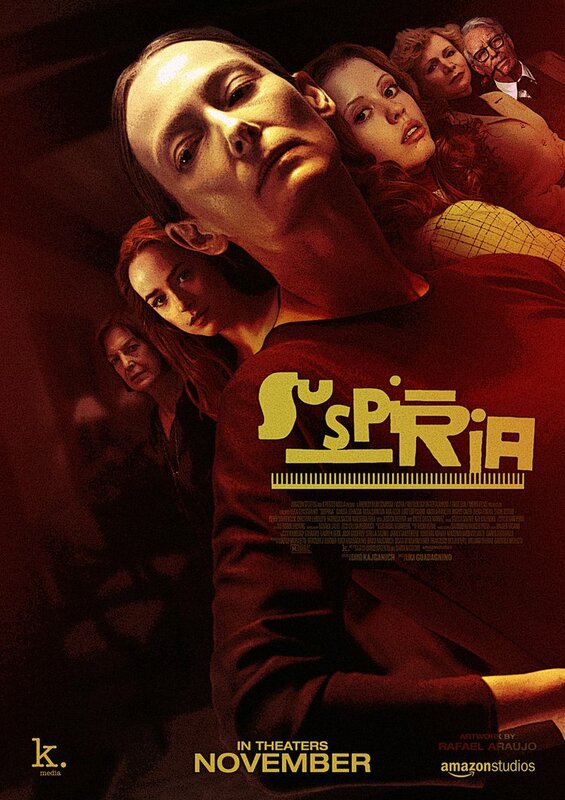 At the same time, an old psychotherapist tries to discover what happened to a girl who was also a student at that school and is now missing without trace. 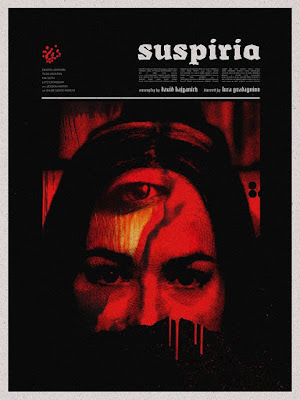 The Movie: Oh, the blasphemy of remaking Dario Argento’s famous classic! 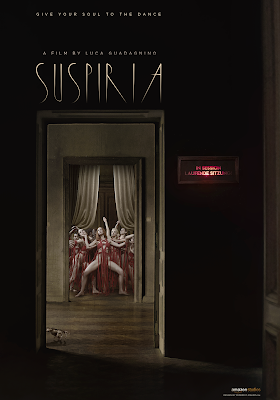 Personally, although I like Argento’s movie, I thought there might be room to improvements. 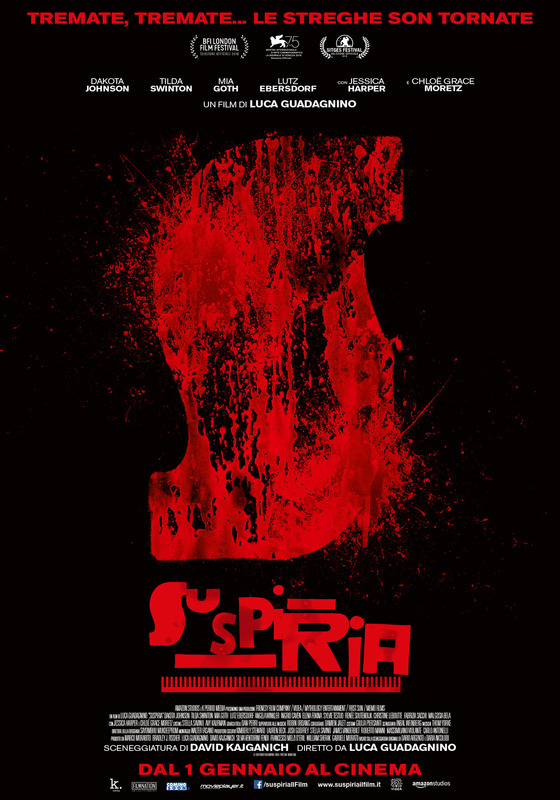 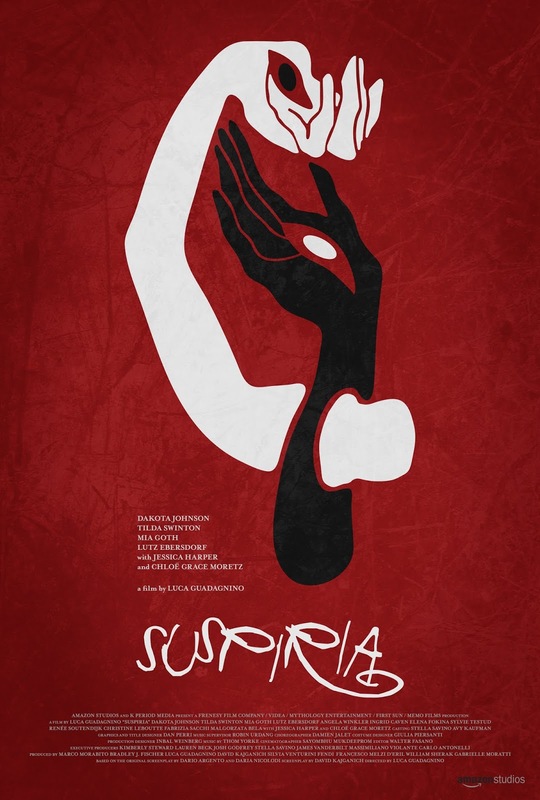 The original cast, with the exception of Jessica Harper, wasn’t great, and the script was a mere reason for the strong, colorful and atmospheric visuals that make the original a classic. 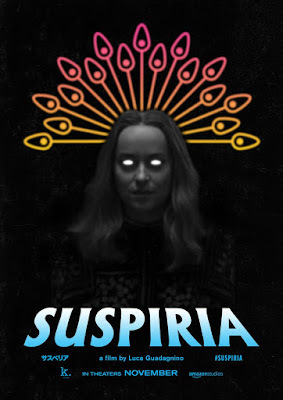 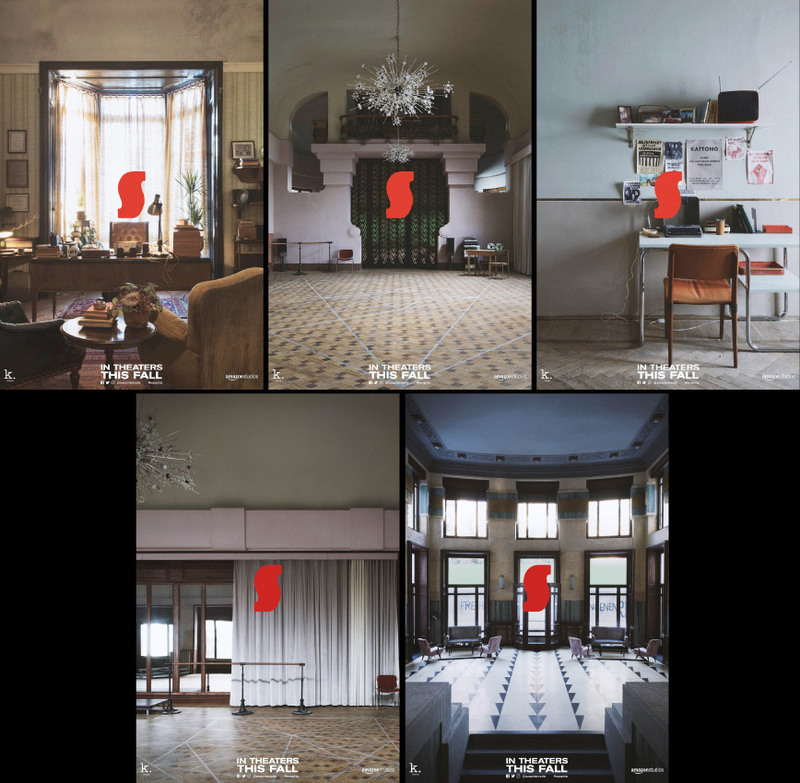 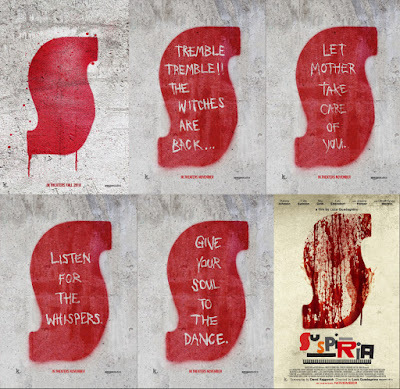 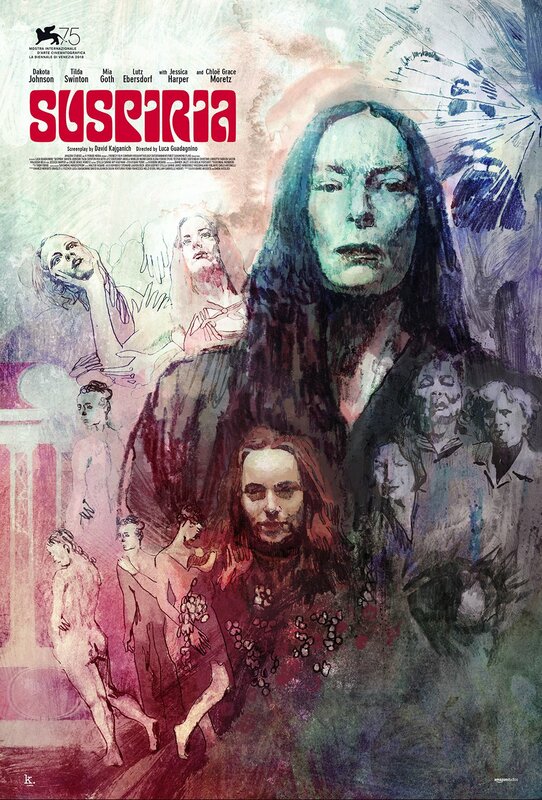 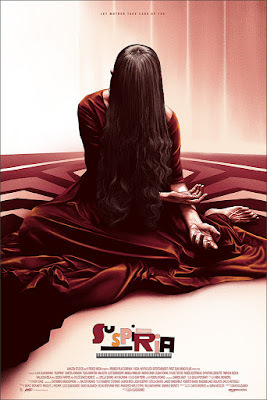 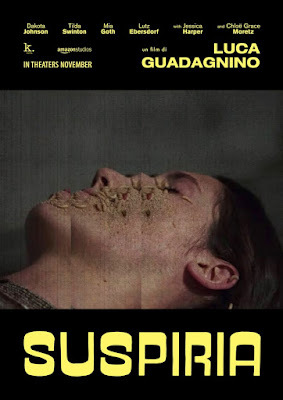 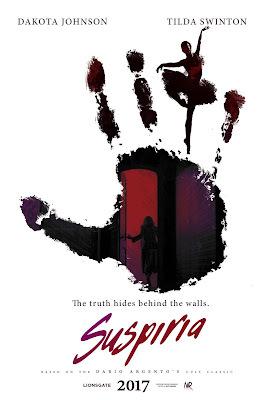 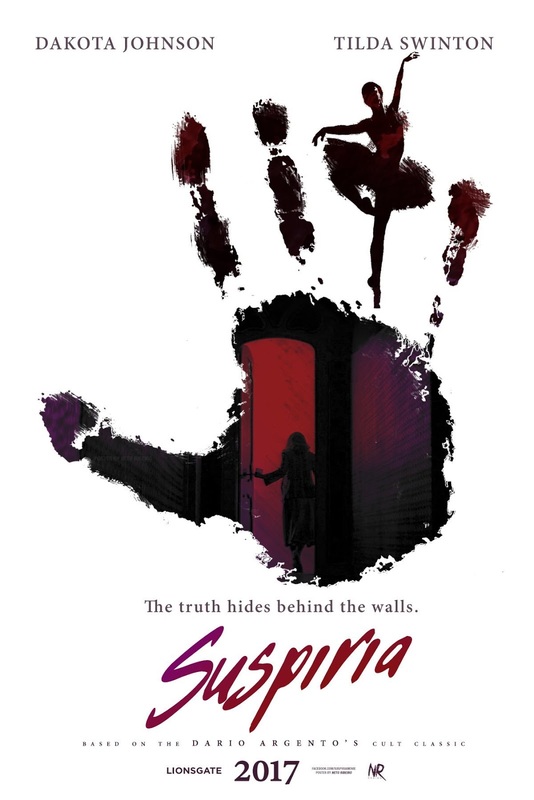 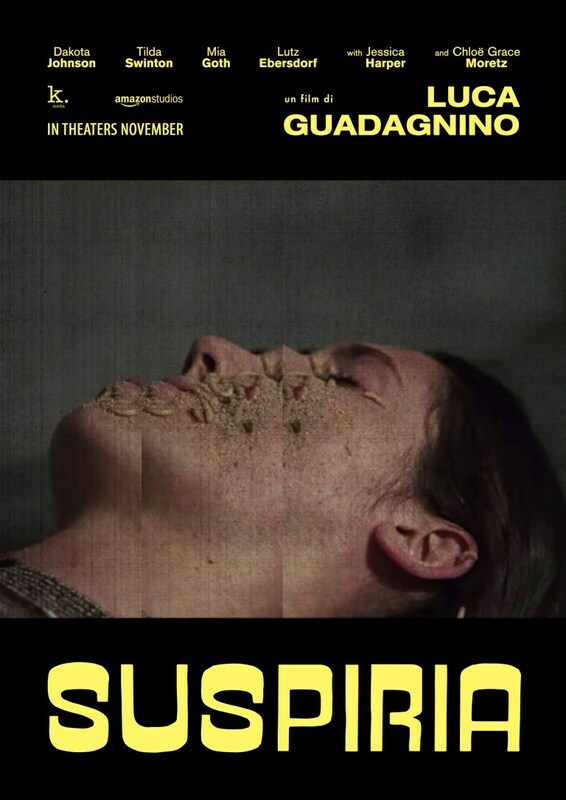 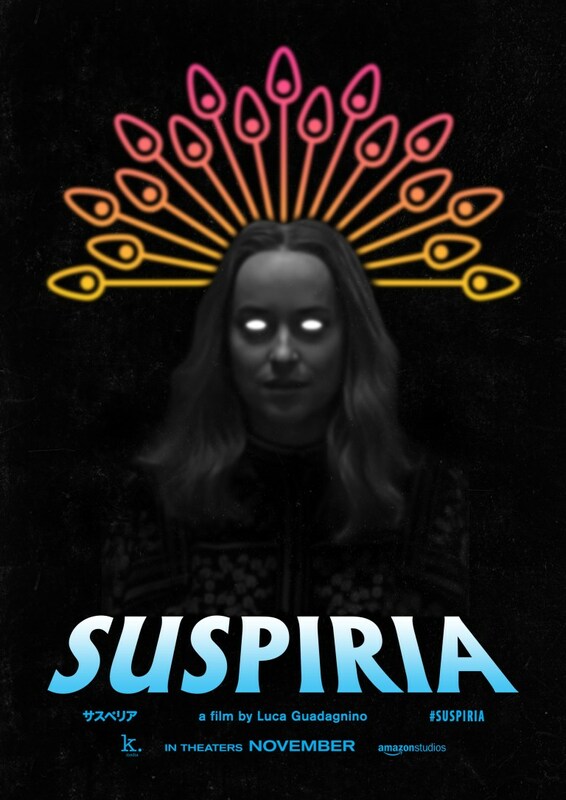 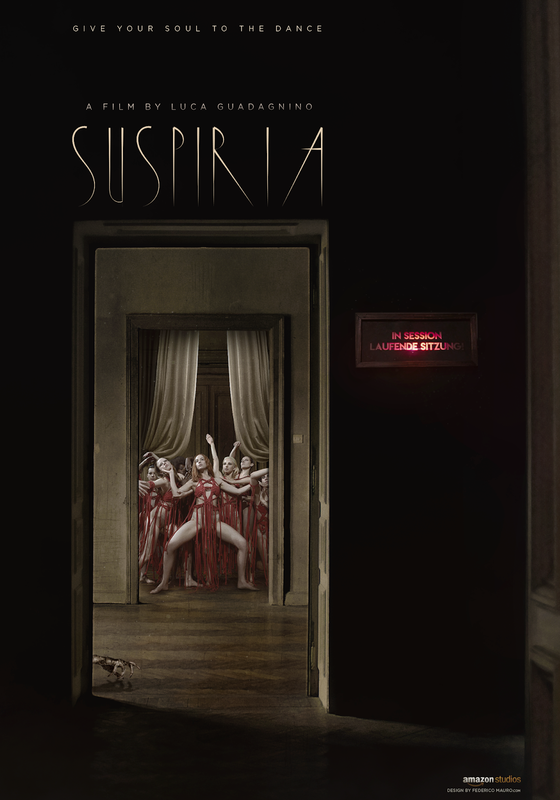 When I heard that drama director Luca Guadagnino was going to do the remake, I was afraid that he wasn’t the right choice to give us a new scary interpretation of SUSPIRIA and I wasn’t wrong. 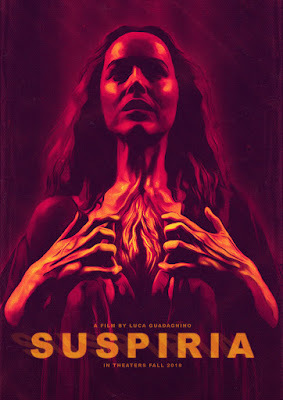 With more 54 minutes than the original, the movie drags along without suspense or any kind of chills. 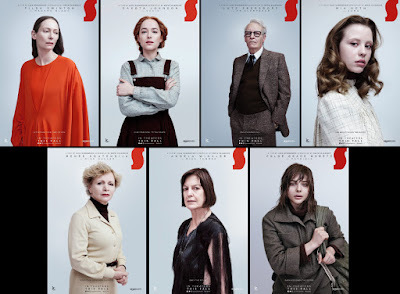 The added story of the psychotherapist doesn’t help at all and why does it matter that a group of terrorists has just hijacked a plane at the same time? The main interest is the dance school and the witches, the rest is just uninteresting distractions that keep us away from the claustrophobic school and kills the mood. 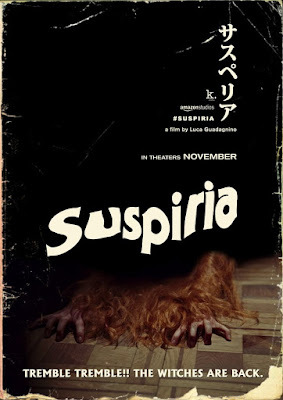 Visually, the movie has its moments and I enjoy the fact that is very organic, but it’s not as strong as the original. The dream sequences are what this movie should have been, strange and disturbing. 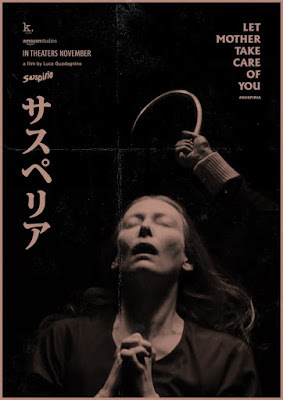 The scene of the ritual is hysterical, sick and, it takes so long that it becomes boring. 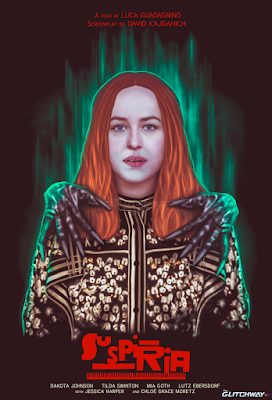 But Dakota Johnson is beautiful in it! Yes, the best thing of the movie is the cast. Johnson was well chosen for the role of the American student; she’s has a bewitching quality that’s matches perfectly with her character. But Tilda Swinton is the indisputable queen, playing three different roles and immersing herself in each one. 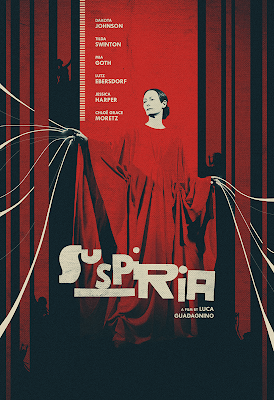 Fragile as Dr. Josef Klemperer, disgusting as Helena Marko and simply fabulous as Madame Blanc. The way she moves, and the expression of her eyes as the dance teacher is unforgettable. I wish I had love it, but I didn’t. I like to be scare by a horror movie and this is maybe too arty for me. 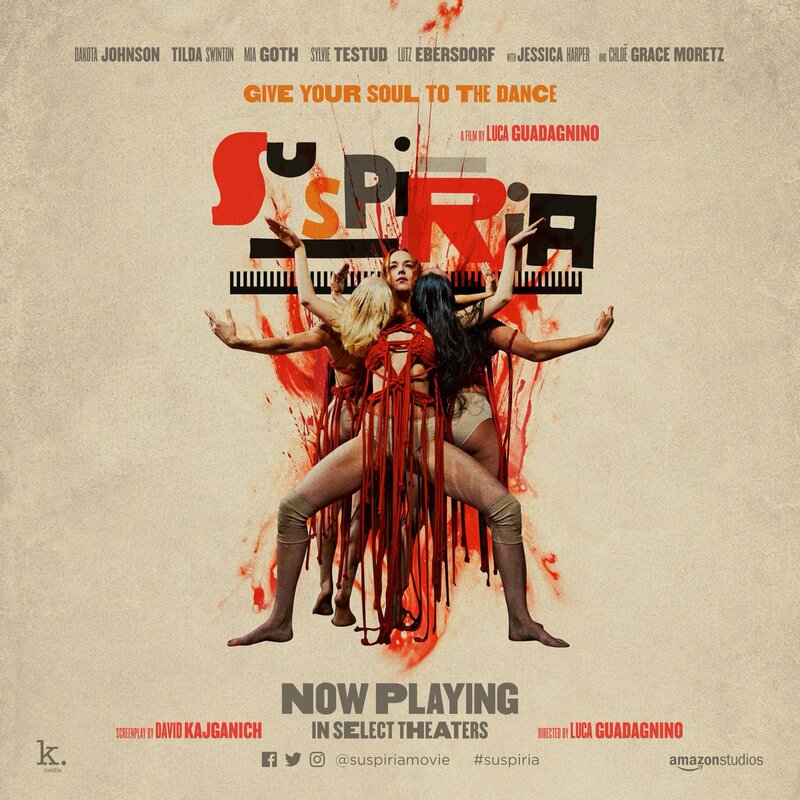 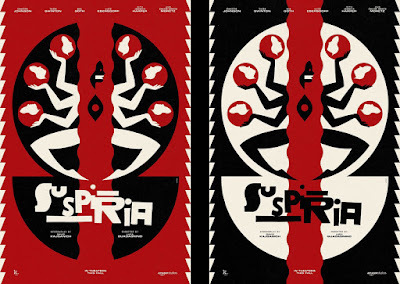 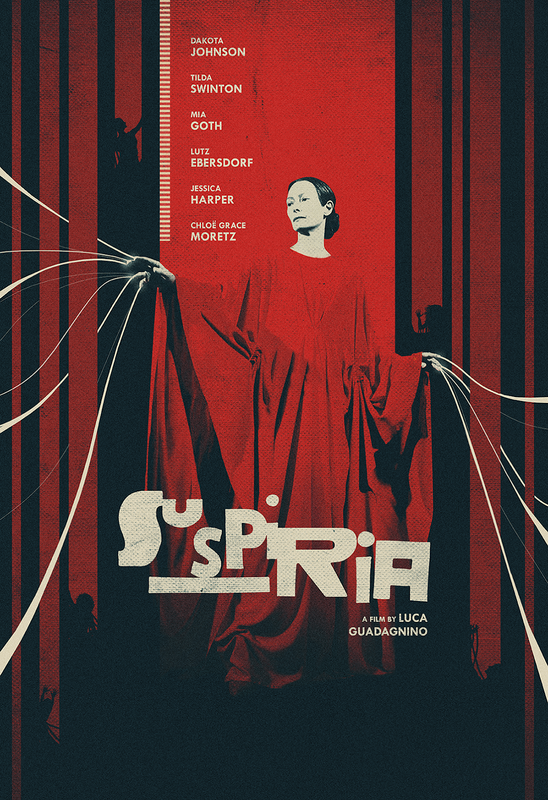 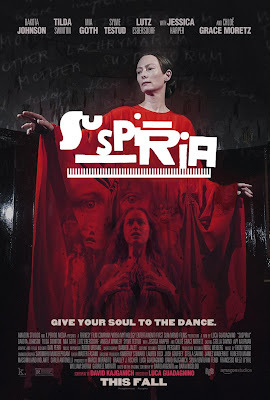 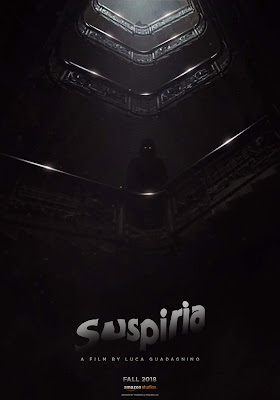 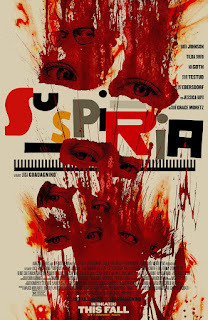 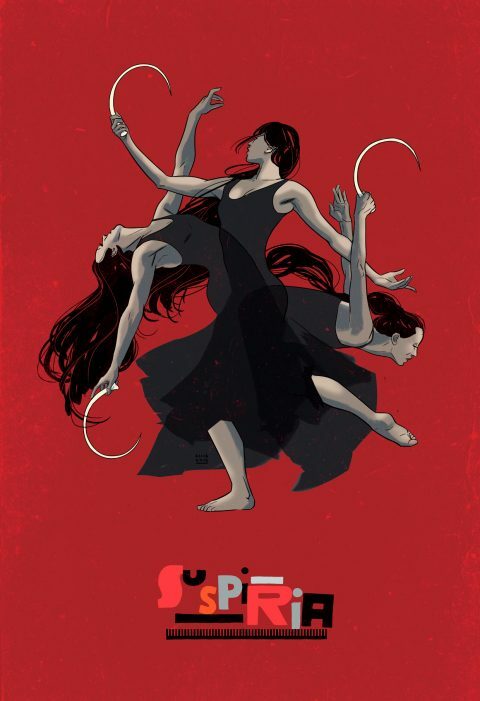 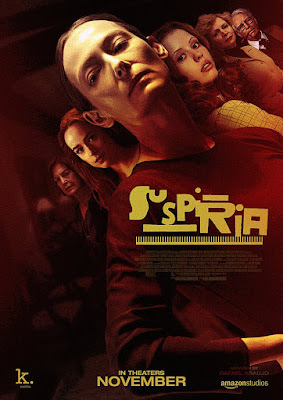 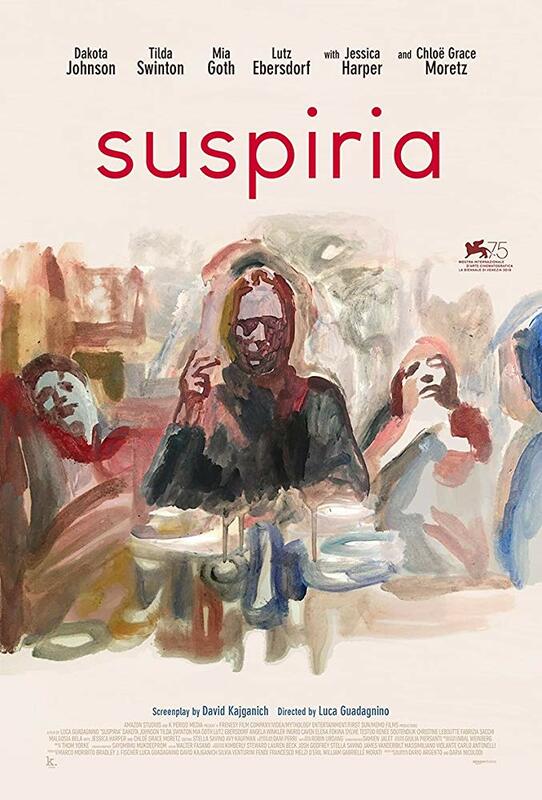 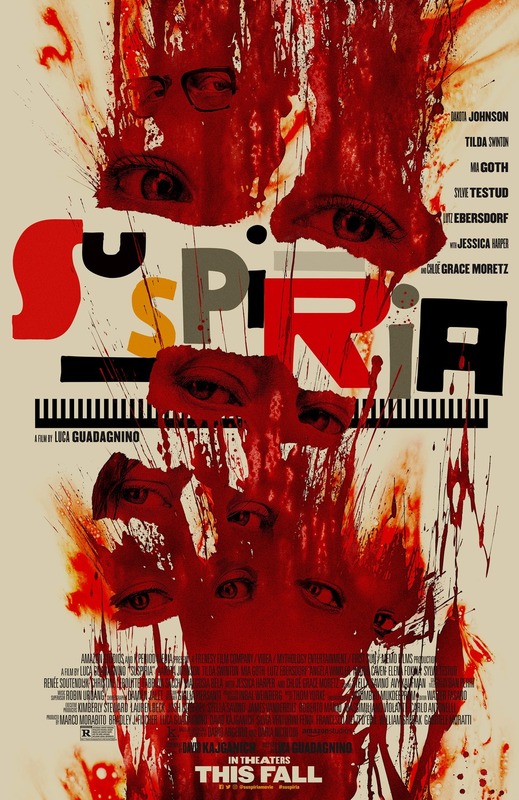 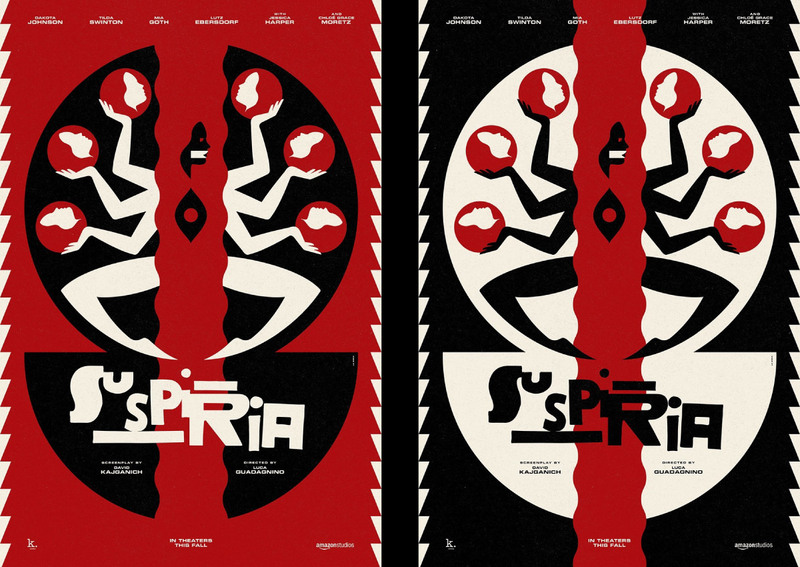 I believe that a better editing could have given us a more interesting new version of SUSPIRIA, as it is, I prefer the original, even with all its faults.